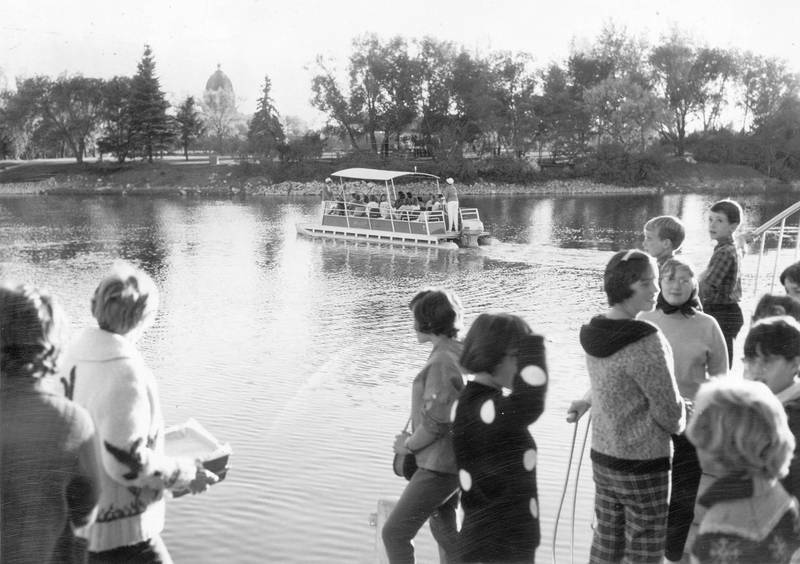 Willow island was built in August 1930 when Wascana Lake was deepened by hand! 2,107 unemployed men were given work using hand shovels and dump wagons to move 120,000 cubic yards of earth. This earth from the lake bed was piled to create Willow and Spruce Islands. The islands were reinforced with fieldstones. The total cost of this project was $102,848.51 which was shared by the Federal Government 50%, the Provincial Government 25%, and the City of Regina 25%. Willow Island was originally used by the Regina Boat Club, which was disbanded in 1962. Wascana Centre decided to make the island available to the public for group picnics. Barbecue sites, picnic tables, washrooms and sheltered areas were constructed.